Eight (8) seats in the 15-member Board of Trustees of AF were up for election this year. After seeking nominees and finalizing the list of official candidates, the actual election was held on May 8, 2018 during the 46th General Assembly. 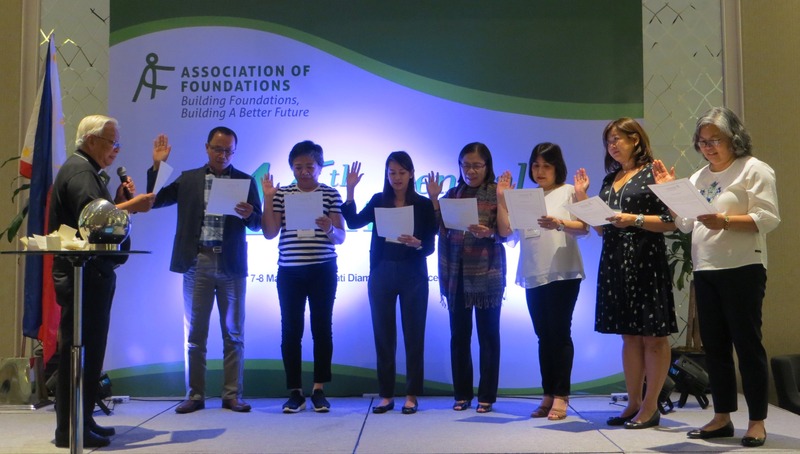 Connie Angeles-Ganuelas – SM Foundation, Inc.
Domi Chua – Ramon Aboitiz Foundation, Inc.
Cecile Dominguez-Yujuico – Conrado and Ladislawa Alcantara Foundation, Inc.
Rapa Lopa – Ninoy and Cory Aquino Foundation, Inc.
Dodoy Magdolot – Mahintana Foundation, Inc.
Maribeth Marasigan – Aboitiz Foundation, Inc.
Gisela Tiongson – Jollibee Group Foundation, Inc.
Cecile Alcantara – Coca-Cola Foundation Philippines, Inc.
Manny Guazon – Pondong Batangan Community Foundation, Inc.
Armin Luistro FSC – DLSU Science Foundation, Inc.
Pia Ortiz-Luis – Cartwheel Foundation, Inc.
Pia Uygongco – Uygongco Foundation, Inc.
Ryan Vidanes – RD Foundation, Inc.
Edith Villanueva – Sugar Industry Foundation, Inc. The newly-constituted AF Board of Trustees. Standing from L-R: Marichu Lopez (Jaime V. Ongpin Foundation), Maribeth Marasigan (Aboitiz Foundation), Pia Ortiz-Luis (Cartwheel Foundation), Dodoy Magdolot (Mahintana Foundation), Rye Vidanes (RD Foundation), Br. Armin Luistro FSC (DLSU Science Foundation), Domi Chua (Ramon Aboitiz Foundation), Connie Angeles-Ganuelas (SM Foundation). 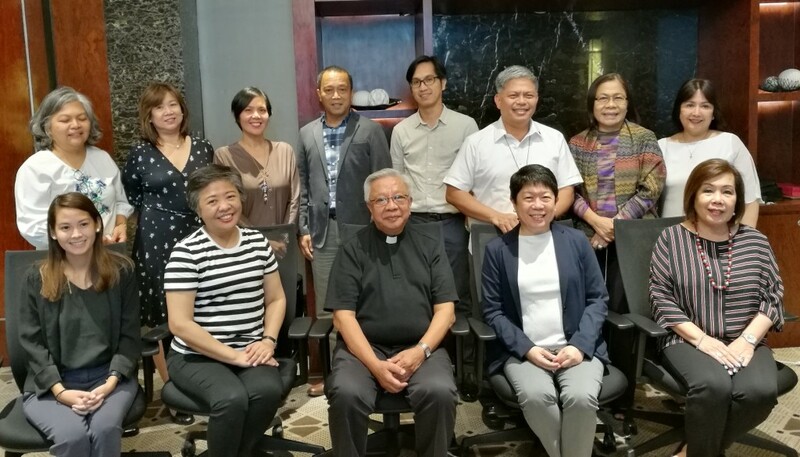 Seated L-R: Cecile Dominguez-Yujuico (Conrado and Ladislawa Alcantara Foundation), Gisela Tiongson, Jollibee Group Foundation), Fr. Manny Guazon (Pondong Batangan Community Foundation), Cecile Alcantara (Coca-Cola Foundation Philippines), and Edith Villanueva (Sugar Industry Foundation). Not in photo are Rapa Lopa (Ninoy and Cory Aquino Foundation) and Pia Uygongco (Uygongco Foundation).